Motivational Monday… Some days we all need a little help. I love a good quote, and no matter what the occasion, mood or emotion, I always feel that a quote can manage to sum up exactly what your thinking and often struggling to put into words. I am always writing down or ‘Pinning’ (save using Pinterest App) these wise and wonderful words and then I can dip into them as and when I need. I often add a quote to a letter, email or text to a friend and I often receive them too. Such a small phrase but often so powerful. Although I am a pretty positive person, I am also only human and I too have days where I struggle to keep my mind focused on the bright side of life. With this in mind I have decided to write a brief post at the start of each week which I will call ‘Motivational Monday’. Here I will share with you you some of my favourite quotes, with words that inspire and motivate me in many areas of my life. 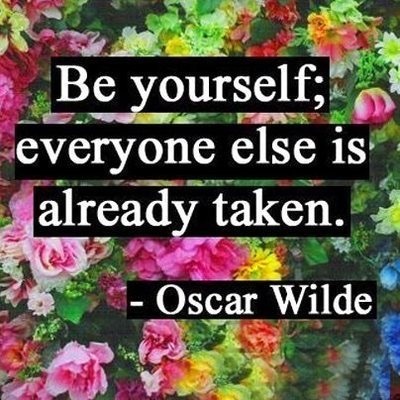 The quote above is by the well known writer and poet Oscar Wilde who has published many acclaimed works. In a society where I feel we are constantly being told how to look, how to act and how to think. I think these words are a great reminder that actually it’s ok to be you. We are surrounded by beauty magazines with airbrushed images and carefully edited interviews and actually I sometimes wonder what percentage of any of these publications are really a true reflection of life and the people they portray. 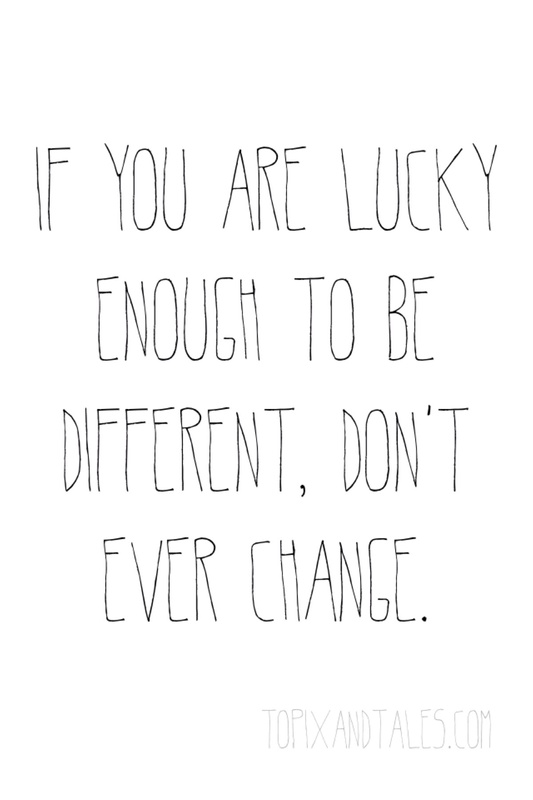 I don’t think I am the only person who has strived to be a different version of me. Of course it would be great to wake up tomorrow and look like a model, sound like a pop star and have the brains to invent a life changing gadget but realistically this isn’t going to happen! Rather than focusing on all the things I’m not… I am trying to focus on the skills and qualities which I do have. I will now try and be the best version of me. How many of you are the first to tell people to be themselves and to genuinely compliment them on how they are perfect just the way they are… I wonder why we find it so easy to see the good in others but struggle to find any good in ourselves. So in the worlds of Elsa from Disney’s animated musical movie ‘Frozen’… Let It Go! Let go of what your afraid of and work with what you have. 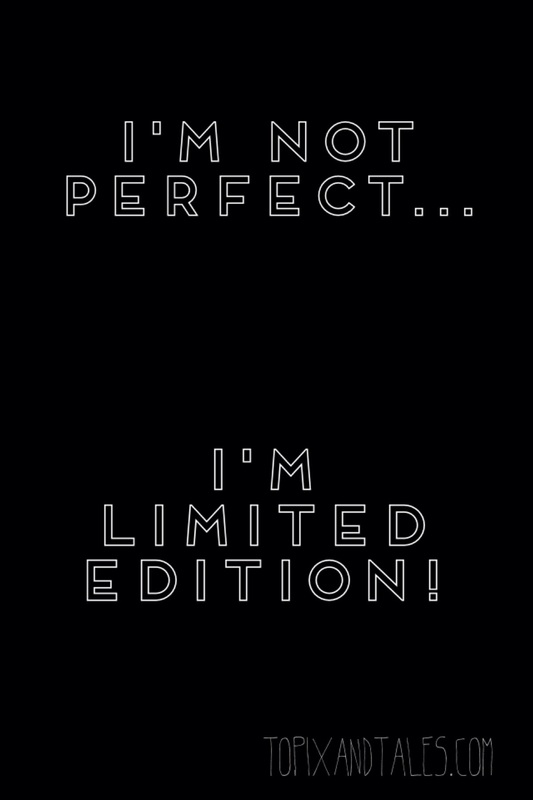 Do not apologise for who you are, embrace your individuality and celebrate your unique qualities. Thinking about it, if we were all born the same this world would be a pretty dull place. Let me know in the comments if you have a favourite quote. How has this inspired or motivated you? Do have any advice on how to make the most of who we are and stop wishing we were someone else?